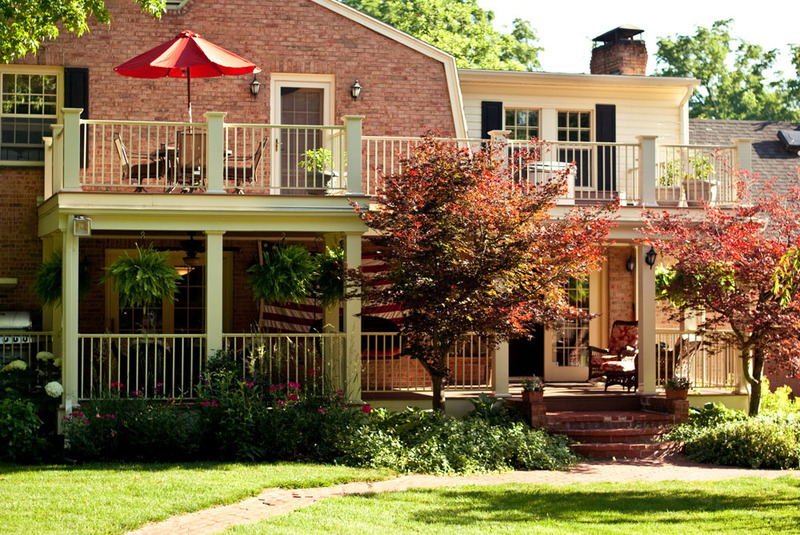 This area of your property is often overlooked, even though outdoor renovation frequently offers the biggest bang for your remodeling buck! 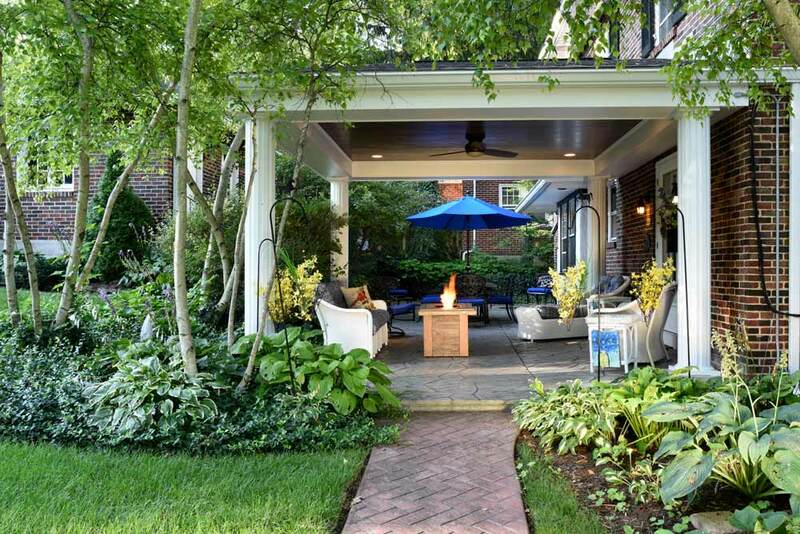 Your outdoor space should be complimented by outdoor elements from the landscaping to the built-in outdoor kitchen (sometimes referred to as the grilling area). 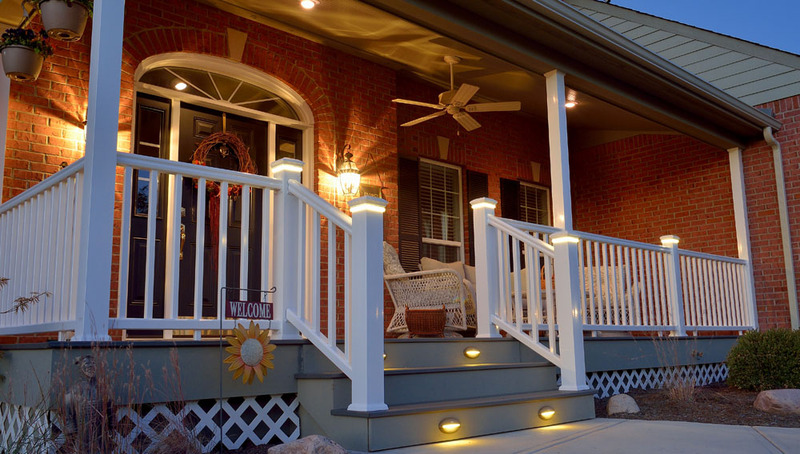 Current spaces can be upgraded with simple items such as a new finish on concrete or new outdoor lighting. 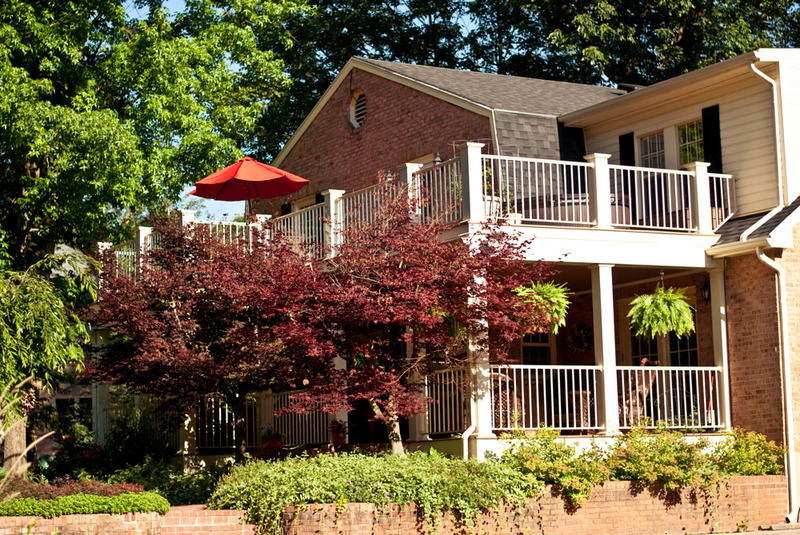 If you’re ready for a little more, consider that adding a deck, pool or porch in your backyard can be just the thing to bring your family outside for some fun in the sun! 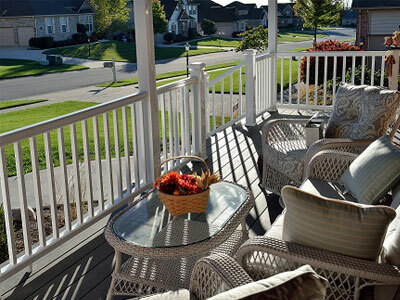 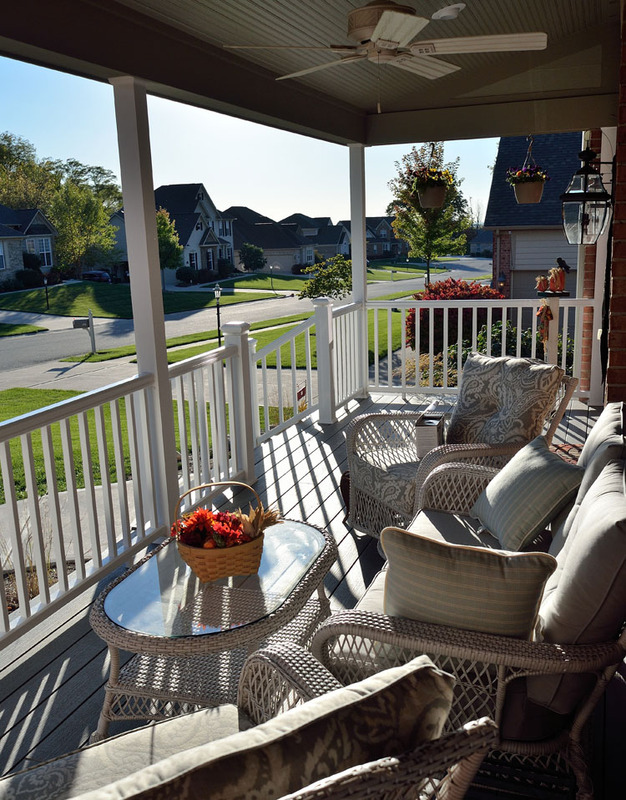 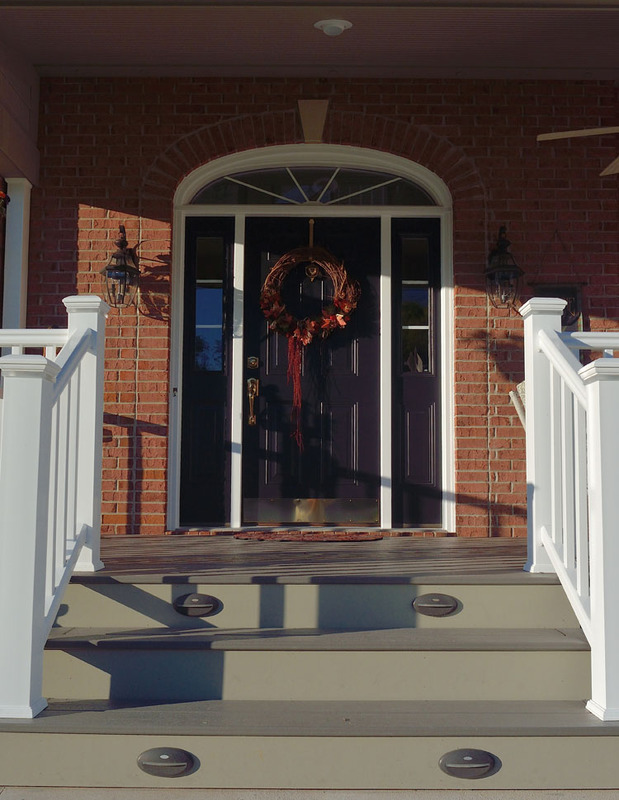 Below are just some of the Porch and Deck Construction projects we've done in Oakwood, Kettering, Centerville, Bellbrook, Vandalia, Beavercreek, Springboro, Miamisburg, and Yellow Springs. 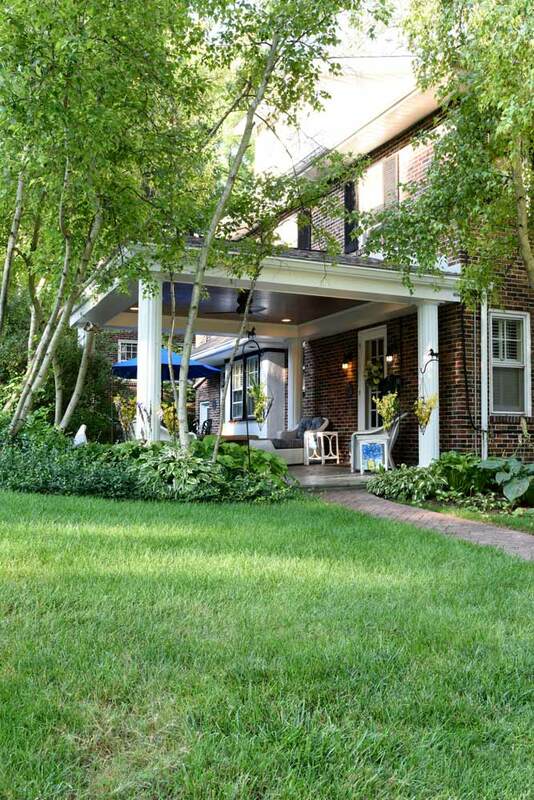 This home, built in 1925, now has the open patio area it deserves. 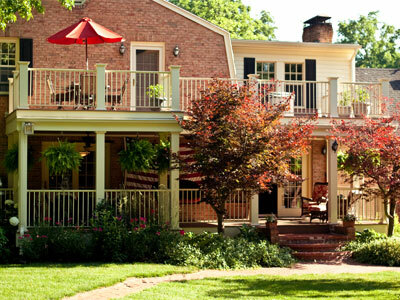 Everything was built to match the home’s historic feel and structure. 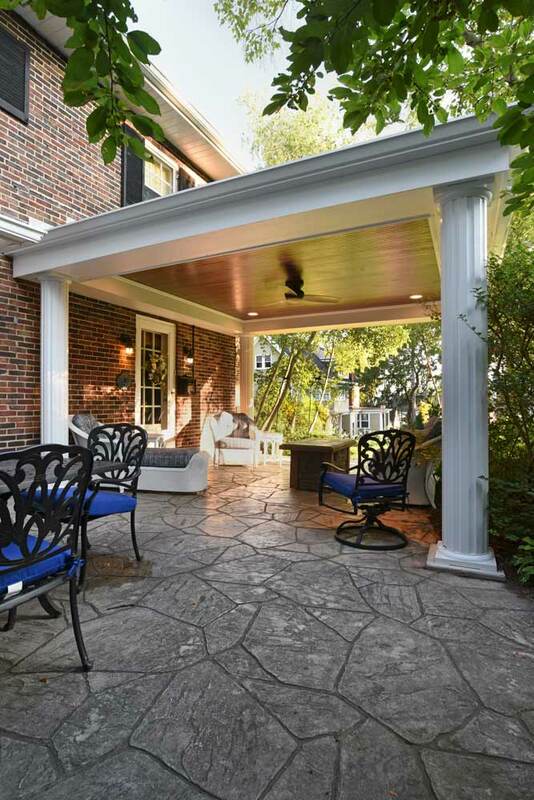 Columns, bead board and other finishes match the original features of the home, and it was finished off with a fire pit and ceiling fan to combat any temperature. 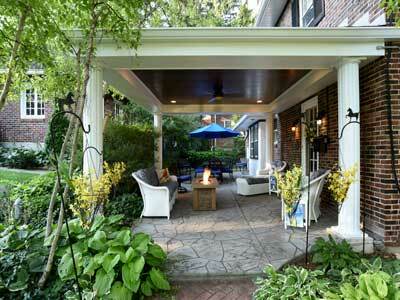 This patio can be used year-round as the perfect spot to relax and entertain guests. 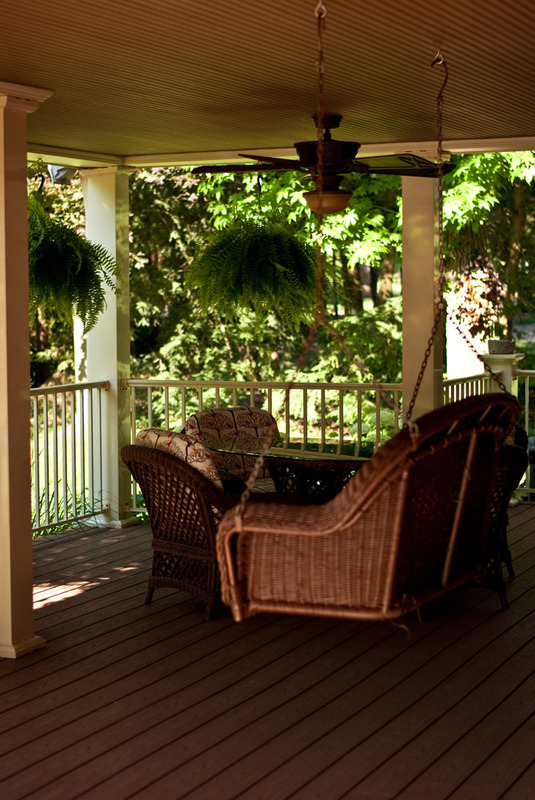 A two story deck using a composite material that will not splinter, check or crack. 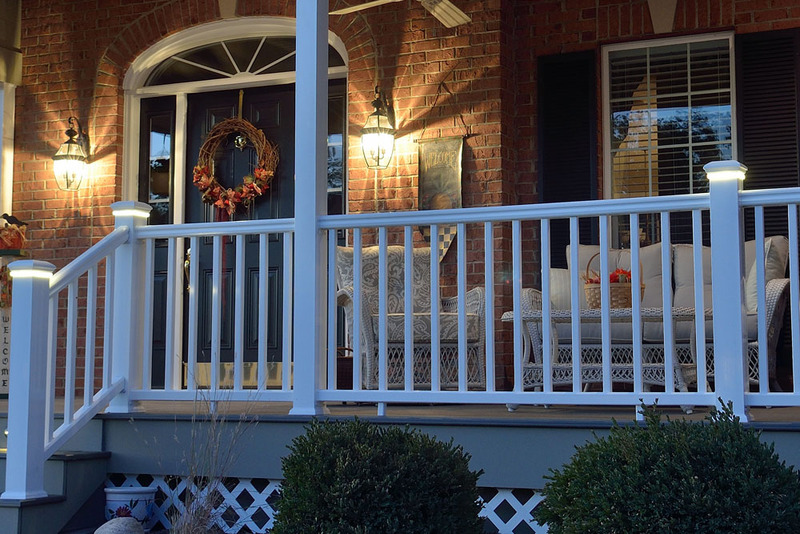 The handrail and columns are powder coated aluminum. 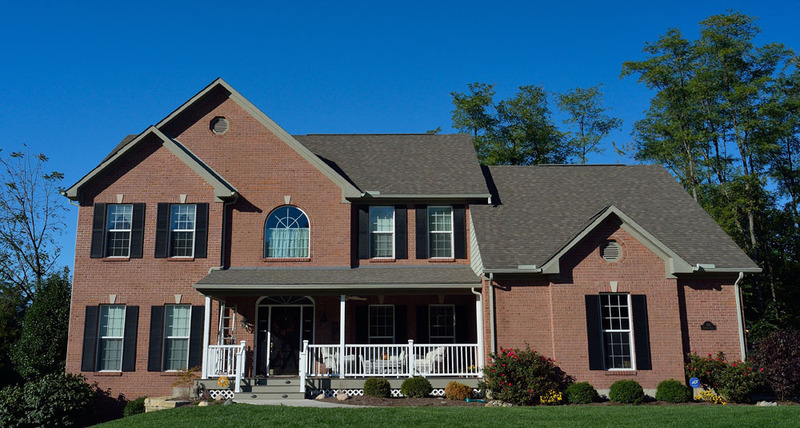 The beams and soffit are wrapped with a cement board. 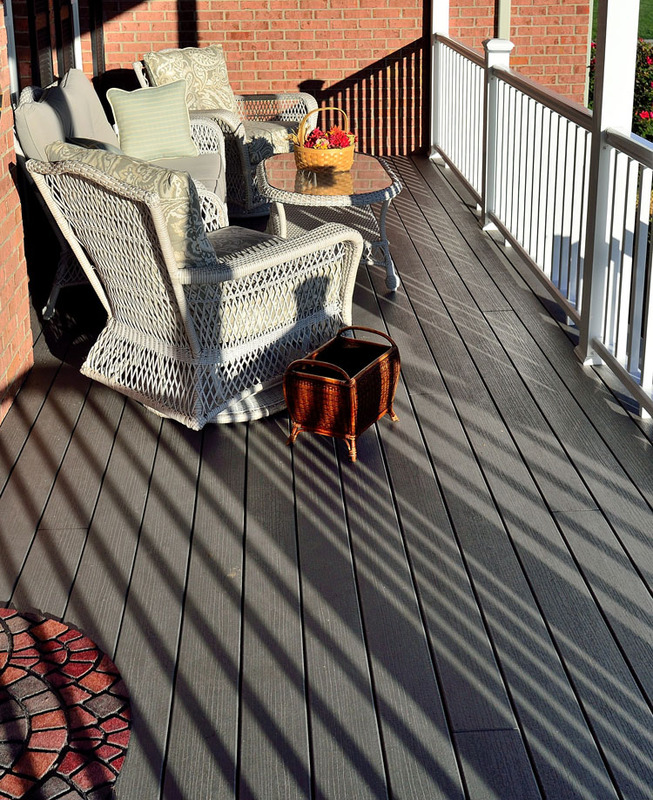 Giving the exposed surfaces of this deck greater protection from the elements. The deck’s second story is built to hold a hot tub. 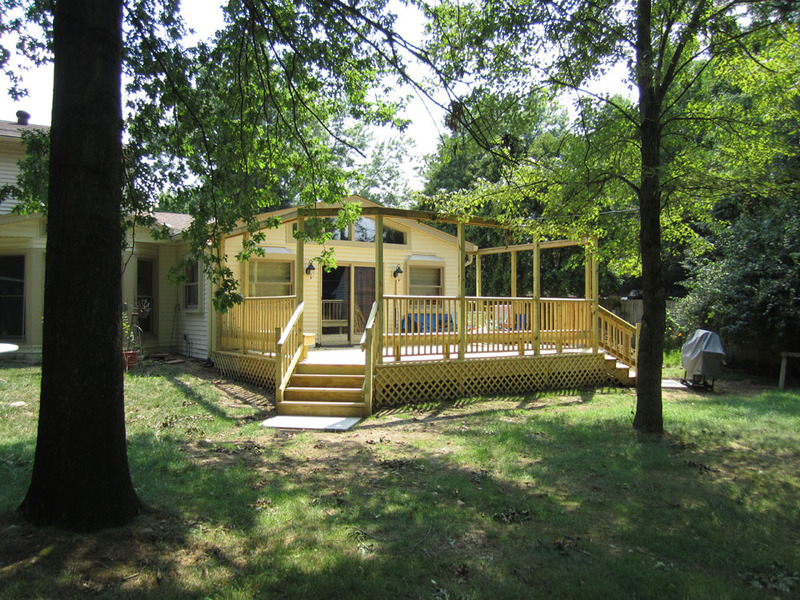 This large deck with ample bench seating is suited for gatherings of family & friends around the Barbecue.